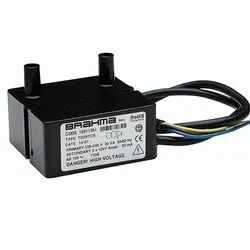 Brahma transformers are characterized by extremely limited overall dimensions and are particularly suitable for gas and heavy oil burners in industrial applications. The main features of these range are limited weight, high efficiency and ignition power, single pole or double pole high voltage output, various connection and fixing systems. These transformers are used in different applications depending on their electric features. Fida ignition transformers are used for oil, gas mono-bloc burners. Fida transformers are very appreciated for their elevated reliability and for advanced technology. Various models are available in single pole & two pole applications. Different ignition transformers are available for continuous or intermittent ignition which are compact in size and have different specifications. We offer following Models to Oil & Gas Burners Users. Classic Enterprises, mumbai offering ignition transformers for intrmittent Operation & Continuous Operation. Classic Enterprises,Mumbai offering Siemens Ignition Transformer is used in different industrial applications. Transformers are known for their features accurate dimension, rust free, efficient functionality and long service life. These transformers are safe to use and durable. These transformers are available to our clients at comprehensive prices. 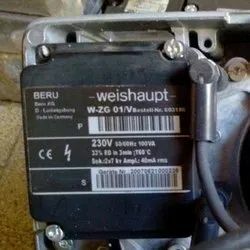 Our organization is involved in manufacturing and supplying a wide range of ignition transformers which includes Danfoss Ignition Transformer Model EBI. These are made using supreme quality raw materials like high grade molted metals with the help of advanced technology, which ensures their durability, high performance and corrosion resistance. Our aggressive pricing and tamper proof packaging makes our product one of the most sort after in the market. NEC Make Ignition Transformers offered by us, are widely used in commercial complexes and industries. These are manufactured in india using premium quality materials and components in adherence with set industrial standards. 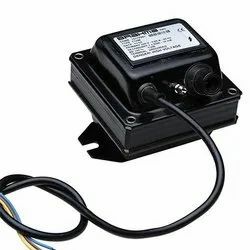 Easy to install and operate, these ignition transformers are known for features like high efficiency, reliability, low maintenance, shock resistance and optimum performance. These ignition transformers are used by thermax boiler, nestler boiler, double ace boiler, iaec boiler, fuelpac boiler, patel boiler, energypac boiler, combustion and concept, hi therm boiler, fuelpac boiler, maxima boiler, elite thermal, j. N marshall. 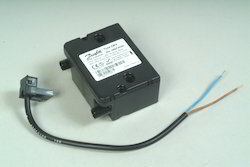 Classic Enterprises Mumbai offer Honeywell ET401/ET402 ignition transformer for electronic frequency oscillation high voltage ignition transformer for alternative Satronic ZT930 and ZT931.